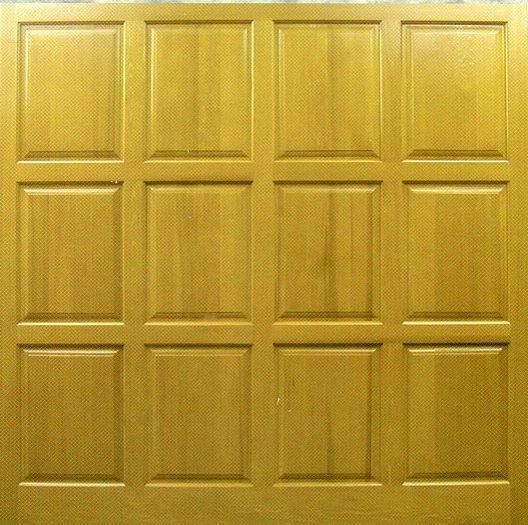 Top Brand Timber Garage Doors at Discounted Prices. 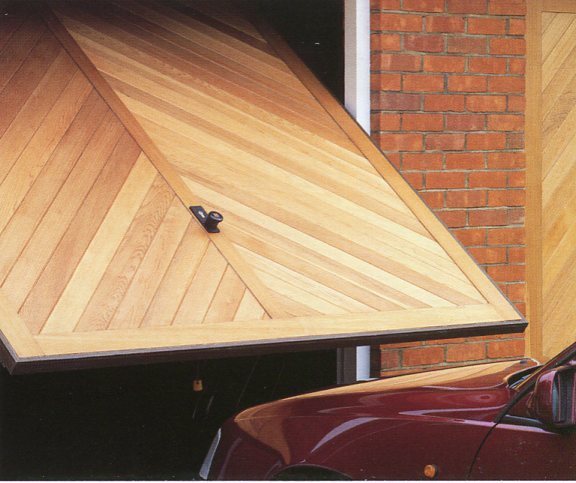 Arridge Garage Doors have been advising on, supplying and installing top brand timber garage doors at discounted prices since 1989. We discount all the leading brands including Hormann, Garador, Woodrite, Cedar Door and Cardale doors. 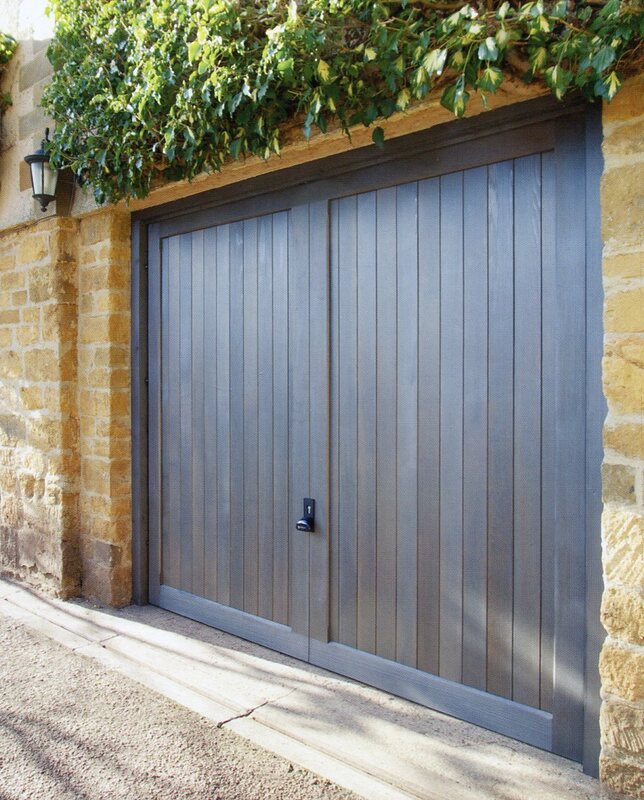 Made to measure timber garage doors are made at no extra cost by Cardale and Cedar Door, the latter being our main supplier. 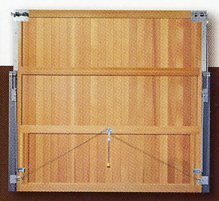 As specialists they only make timber garage doors using the highest grade of FSC certified Western Red Cedar, latest technology and skilled craftsmen. Timber is sourced from sustainably managed forests. 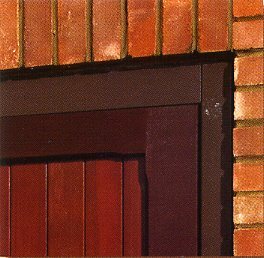 Cedar is the most popular species of wood for timber garage doors as it is naturally stable, rot resistant, strong, light in weight and not too expensive. 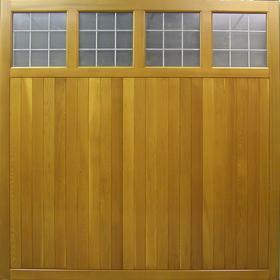 Up and over operating timber garage doors are commonly made from cedar but are now also available in idigbo or oak. 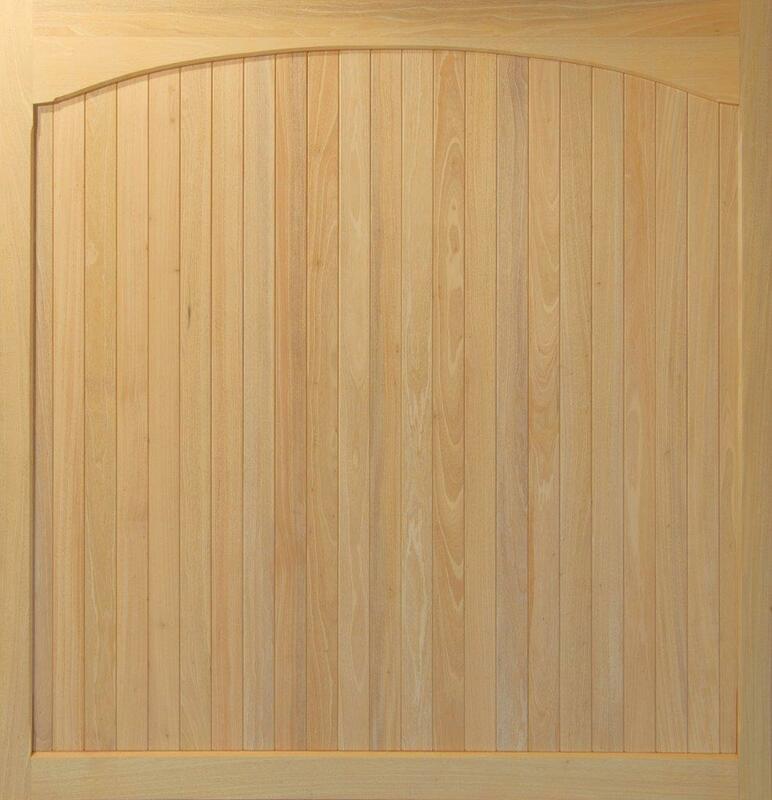 Up and Over doors are available in sizes from 5 ft wide up to 18 ft wide in a vast selection of styles. 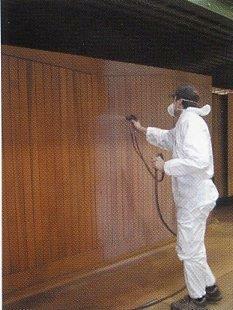 Fully finished option available by means of factory applied Sikkens or Teknos woodstain. Any RAL or BS colour also available. 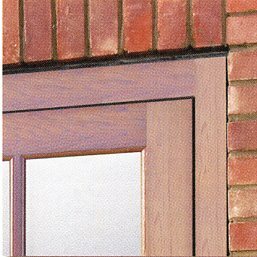 Cedar Door and Woodrite offer hardwood or softwood timber goalpost frames. Hormann, Garador, Woodrite and Cardale offer a pre-framed option on steel fixing frames for quick and easy onsite installation if this is preferred. A cedar frame gives a high quality final appearance. Dark Brown steel frames are available from Cardale, Woodrite, Hormann and Garador, ideal for quick and easy installation and maintenance free. 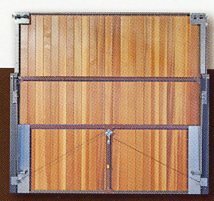 Most single timber up and over garage doors come with retractable gear as it is robust and enables the door to be easily automated at little extra cost by means of one of our high quality automation kits. All doors over 8' wide are on retractable gear as standard. Doors up to 8' wide can be on canopy gear if required. They are quick and easy to install but not ideal if you want to make the door electric. Rear of retractable "panel built" Woodrite door showing the neat steel bracings of the door panel chassis in dark brown and counterbalance lifting gear in galvanized steel. 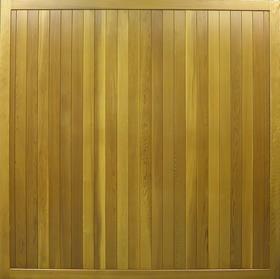 Rear of the "solid built" Woodrite door with solid timber door chassis. Please note counterbalance gear fitted to door (included in cost). Rear of Woodrite super chassis canopy garage door with pre-fitted dark brown steel fixing frame and counterbalance gear. 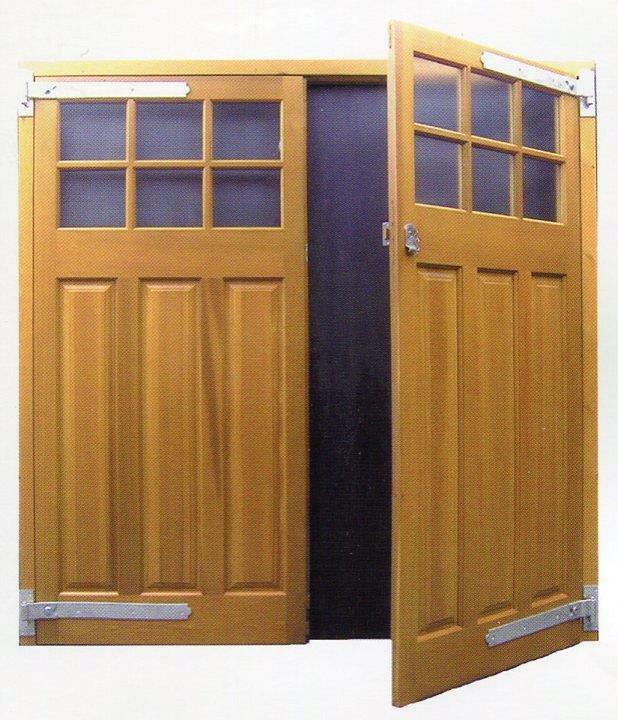 Most customers can find one of the numerous standard door designs available to suit their property. Modifications of these garage doors made to a customer specific bespoke design are available. Please send in your sizes and design for a free quotation, help and advice. 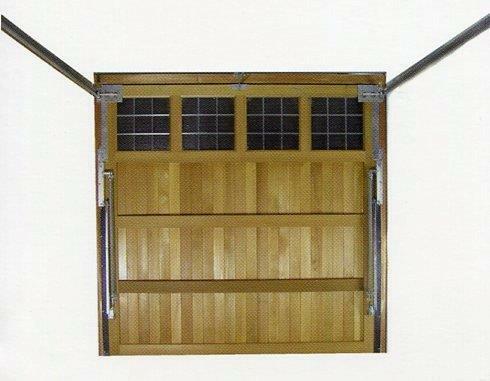 Side hinged timber garage doors are also available. Click the link to view all product details and prices. 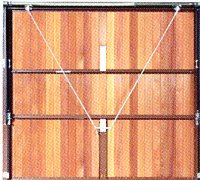 To view all product details and prices of Timber sectional garage doors , please click on the link. If you require our quality installation service click the link to view our installer/fitter in your area.